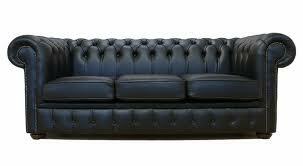 George Osborne has an amazing sofa. I consider it a red letter day if I find a quid down the back of mine, but Osborne manages to comfortably sit on a few hundred million as he relaxes in front of the ten o’clock news. If you know me you might think I’m being unfair by poking fun at those who complain about fortnightly bin collections: I live above what is classed as a ‘commercial premises’ and therefore my rubbish is collected on a daily basis. I think if the council knew that the ground floor flat is classed as ‘commercial’ because it used to be a gay sauna, they might reconsider, but there has to be some compensations for living next to a recycling depot. New Philanthropy Capital estimates the annual cost of domestic violence to be £20.06 billion and of sexual violence to be £25.7 billion, therefore £28 million of funding over four years to tackle these issues seems a somewhat underwhelming response. So, George Osborne, if you give me your sofa I promise I’ll donate it to a good cause.